The Kayuragi series includes the popular Aloeswood and Sandalwood fragrances as well as Japanese floral and fruity fragrances. 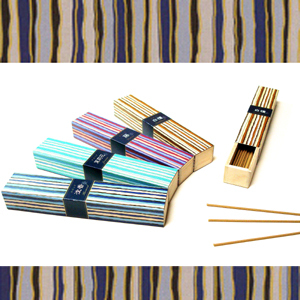 When the incense is lit, it's smoke and aroma wafts throughout the space and brings a feeling of relief and relaxation. It is not only from the pleasant fragrance, but also from the sight of the wafting smoke.